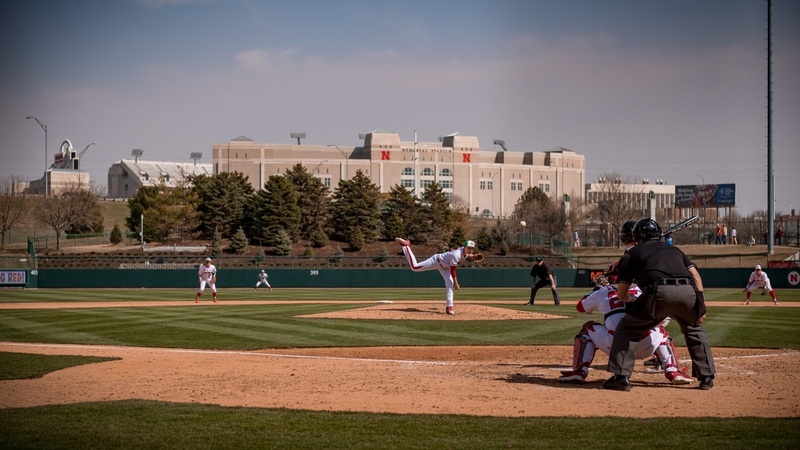 The Nebraska baseball team’s exhibition game against Wichita State at Hawks Field on Saturday might not draw a large crowd. The first pitch is scheduled for 11:30 a.m., a half hour after the opening kickoff of the Husker football team’s game against Michigan in Ann Arbor. But attendance isn’t the concern. Fall practice began last Thursday, and the exhibition will be an opportunity for Coach Darin Erstad to get an early look at a roster that includes 15 newcomers, 11 of them freshmen, including seven pitchers. “Potentially, we’ll have 12 new arms from guys coming back and incoming guys,” said Erstad. In addition to the seven true freshmen and four-year-school transfers Trey Kissack and Gareth Stroh – both of whom must sit out this season – freshman Connor Curry and juniors Robbie Palkert and Chad Luensmann are coming off medical redshirts following Tommy John surgeries. Of the three, Curry is “probably as far ahead as anybody on the curve,” Erstad said. “We’ll see towards the end of fall whether he’s ready to go. But if you asked him now, he’d probably tell you he’s ready to pitch right now. So we’ll see how he continues to develop here and progresses. Not so for Palkert, who made two relief appearances the first weekend last season before undergoing the surgery, or Luensmann, who, like Curry, missed the entire season, which was “tough to watch,” said Luensmann. “I was upset I didn’t get to play. Nebraska failed to qualify for the Big Ten Tournament, going 8-14 in conference play and 24-28 overall. “It’s a big attitude thing,” Luensmann said of the Huskers’ struggles. Luensmann worked out of the bullpen his first two seasons, recording a combined 21 saves, including 13 as a freshman when his earned-run average was 1.18 and opponents batted .171 against him. He earned freshman All-America recognition and was the Big Ten Freshman of the Year. He had been projected as a starter, possibly the Friday night starter, last season and expects to get an opportunity to start again this season. Coming off surgery, “where he ends up, regardless of whether he starts or he’s in the pen, he’ll be a once-a-week guy, especially early on,” Erstad said. Luensmann won’t pitch this fall. Matt Waldron and Nate Fisher, who had 19 starts between them, are back, as are Mike Waldron, Andrew Abrahamowicz, Paul Tillotson and Ethan Frazier, each of whom had at least 13 appearances out of the bullpen. Luis Alvarado, Matt Warren and Jake Hohensee are among those gone. The top two hitters, Jesse Wilkening and Scott Schreiber, are gone, as is Zac Repinski, who started 36 games. Wilkening batted .372, with nine home runs and a team-high 56 runs batted in. Schreiber batted .369, with 18 home runs, 48 RBIs and a .692 slugging percentage. Mojo Hagge is the top returning hitter with at least 100 official at-bats. He batted .275. Luke Roskam, who started every game, batted .269, with five home runs and 46 RBIs. Jaxson Hallmark started 50 games and batted .261. Angelo Altavilla, who batted .316 as a sophomore, struggled at the plate as a junior, hitting only .228 – with 46 starts. A change in NCAA rules allows for two exhibitions. The Huskers’ second, against Kansas, is scheduled for Oct. 6, with the Red-White series set for Oct. 19, 26 and 27. The Kansas exhibition will probably provide a better read on that. That applies, playing in front of a small crowd or a large one.